Co-Cabinet Spokesman Minister Dayasiri Jayasekara said yesterday the current shortage of fertiliser will end with the arrival of 40,000 metric tonnes of fertilizer from Pakistan. Addressing the weekly cabinet briefing held in Colombo, the Minister said the fertiliser will be sent to the respective areas in 200 lorries soon after the consignment is released from the port on the special permission given by the relevant authorities. The reason for the sudden fertiliser shortage was a cancellation of a two tenders due to certain irregularities as well as previous ban on fertiliser imports from Pakistan. However, President Maithripala Sirisena discussed with relevant authorities in Pakistan in this regard and found a solution. On the request of the President,Pakistan agreed to send 72,000 metric tonnes of fertilizer to Sri Lanka immediately. The Pakistan Government has informed that it will take action to export more fertilizer to Sri Lanka in the future. 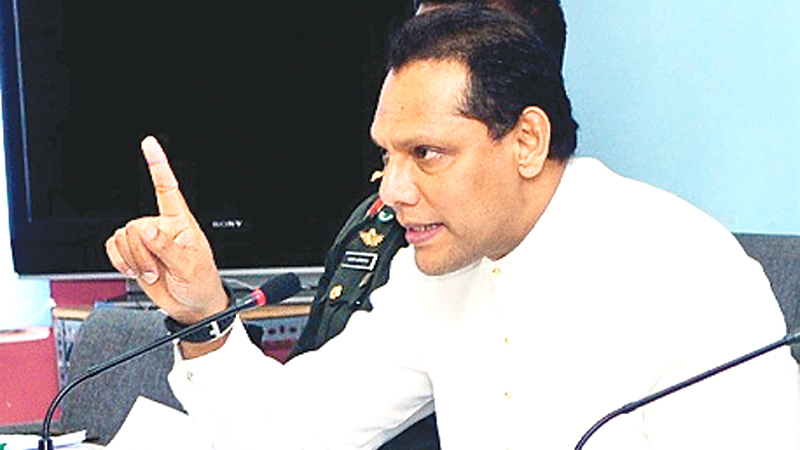 Commenting on the current coconut shortage,Jayasekera said the government has expedited the process of importing coconut to ease the coconut shortage in the country. “According to the current agricultural laws, coconut cannot be imported to the country. So we had to amend the laws. Normally, there is a significant increase in the coconut consumption in November and December. The drought has also affected over 200,000 coconut trees in the Kurunegala district alone. It takes the minimum of 45 weeks for a coconut tree to grow and bare fruit.The reason for the escalating coconut price is the current supply is insufficient coconuts to meet current and future demand. But, this situation will change with the increase of coconut production in May, June, July. He further said figures indicate that rice is available in the market between Rs.73 and Rs.75 a kilo. Both the private sector and Lanka Sathosa brought 500,000 metric tonnes of rice to the country to ease the rice shortage previously. Co-Cabinet Spokesman Dr.Rajitha Senaratne said the United States has accepted that glyphosate causes CKDu (Chronic Kidney Disease of Uncertain Etiology) through research.When the Yahapalana government banned glyphosate, certain people blamed us. “Now it has been proved that CKDu is caused when glyphosate is mixed with water,”he said. He said the American Public Health Association sessions held recently upheld the research paper presented by Prof. Sarath Gunatilake who has focused on the herbicide glyphosate and its relationship to an epidemic of chronic kidney disease.